The Tilley sun-protective Hiker's Hat is designed with an evaporative cooling insert, powered by HyperKewl™, to help relieve heat stress during treks. A rear brim loop provides a place to securely clip your Hat in place when not in use. 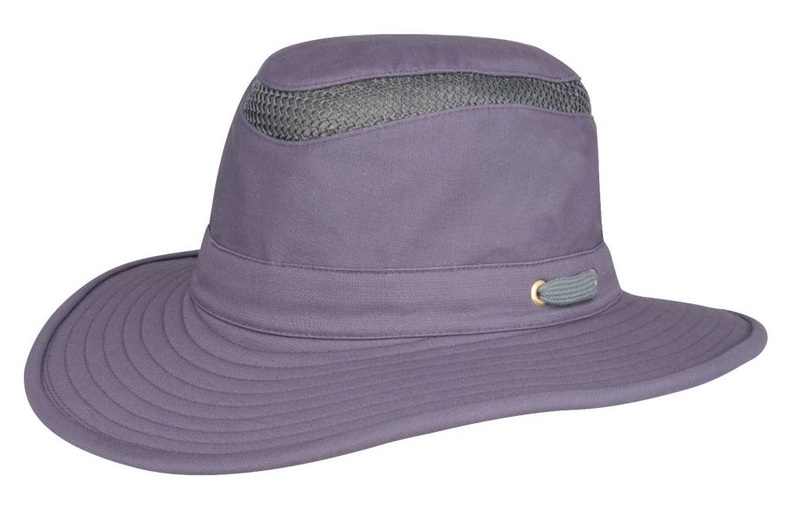 These unique features, plus all the usual Tilley Hat benefits make this the ultimate Hat for the walking. Care: Remove HyperKewl™ insert before washing hat. Machine wash hat in cool water, delicate cycle or hand wash; Reshape & air-dry. How to use your HyperKewl™ Evaporative Insert: Soak the insert in cold water for up to 5 minutes – insert into the Hat. The airflow through the mesh panel will start the evaporative cooling process. The cooling insert is expected to provide temperatures that are approx. 10 to 15 degrees Fahrenheit cooler than ambient temperature depending on airflow. It will not feel like an air-conditionner on your head – it will super charge the natural evaporation process to help you feel comfortable on the trail. High humidity will diminish the fabric’s ability to evaporate water.